I know things are tough right now. We’re all struggling. Unemployment is rising. Wages are falling. Social Security is depleting. 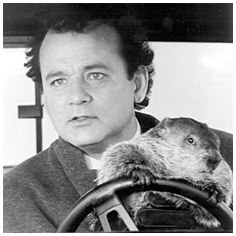 We are facing a monumental election in which 50% of us are guaranteed to be disappointed with the outcome…. So during this tumoltuous time, I would like to utilize this moment to say some encouraging words to you all. I’m more than just a strikingly gorgeous face and some light comic relief on a friday night, you know. Wait, what was that? How do you know I’m strikingly gorgeous since I never post pictures of myself? What kind of crap question is that? Well, if you can’t just take my word for it then it’s time we stop this charade and end this here and now. 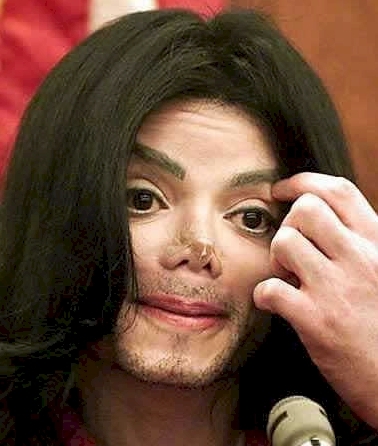 Anyway, I’d just wanted to remind you all that even though it may seem that the world is crumbling around you, at least your nose is still in tact. And that, my friends, is not a luxury we all enjoy. I’m glad you tuned in tonight, I have alot of important news coming your way – including the results of your poll. This is a special moment in The Daily Elephant history as we’ve crossed over the 20k visitor mark in less than six months. You know what this means right? Oh, you don’t. Well, I was hoping you would because I haven’t a clue. Anyway, it seems like we should celebrate, so I’d like to say a big thank you to all my avid readers (uh, brandon?) and random visitors who are but innocent bystanders of my opinionated ramblings. 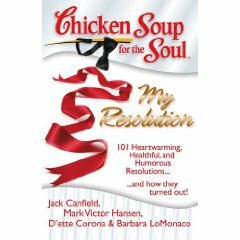 Oh yes, and while we’re popping the champagne corks I might just mention that a non-fiction story I wrote is being published in Chicken Soup for the Soul: My Resolution, in stores this Dec. 23! YOUR POLL ANALYSIS: Last week, I conducted an extremely scientific, double blind poll, regarding the “real issues” of election 08. Your results are as follows: 33% (the majority) of you feel that college is a freaking waste of time and money because you still don’t acquire any real life experience, thus have to waste you time in a dead end job so you can work your way up. 26% of you believe, despite what environmentalists are telling us, that we are actually more important than polar bears. 22% still can’t wrap their minds around how Rosie O’Donell is still allowed to live here, and finally 19% are dumbfounded by the educational system. Of all the topics that the general public of this fine planet have handed me on a golden platter with a side of cheesy potatoes to devour and criticize… I feel this monumental blog should be an extra special one. Therefore, I must search my soul to find the one quagmire has driven me completely witless. What ever shall it be?
. . . . . let me sleep on it. I guarantee this poll is not More of the Same, nor does it bring the Change We Need! I just received word from BOTH the Obama and McCain campaigns. They are asking me to poll the American public and find out what’s really on your mind. It’s time to exercise your right as an American citizen, and cast your vote below! 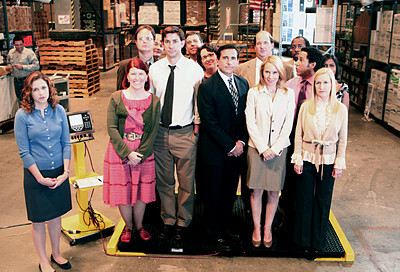 The fact that my everyday life [from the hours of 8-4:30] is a mirror image of The Office – is beside the point. Last Monday, I arrive at work to find myself in the middle of Customer Service Appreciation week, which was kicked off by my boss wearing a Hawaiian shirt while cooking us breakfast (except he didn’t accidentally grill his foot in a George Foreman). I’m a part of the “fun committee” or in Office terms the “party planning committee.” My manager really pushed to have “Cowboy day” because he had a cowboy shirt that he wanted to wear. We told him nobody had anything cowboy-ish, but he could wear it anyway. He didn’t. Wednesday was hat day, and at the end of the day everyone who was wearing a hat had to line up against the wall and have our picture taken for our department homepage. Every time we were supposed to smile, I held up my name plate in front of my face and no one ever noticed. More on that later. Me: Thank you for calling _____, how may I help you? Me: OK. your name please? Me: and your NAME please? Me: Thank you. The last four of your social? Her: My husband’s is 5432. Me: sigh. And the last four of YOUR social? Her: oh, MINE…. Hmm… let me think. Her: Well, it’s probably under my husband’s. Me: You are the one calling. The fact that you can tell me your husband’s information does not help me verify that I’m talking to you. I need YOUR SOCIAL #$%#^%#!!! Her: Um, ok, it’s um, 7654 I think. And all of this time, I thought it was no longer 1820, and women were actually considered people. But every time I think I understand something… someone has to go and prove me wrong. Obama: The 46 Year Old Political Virgin? 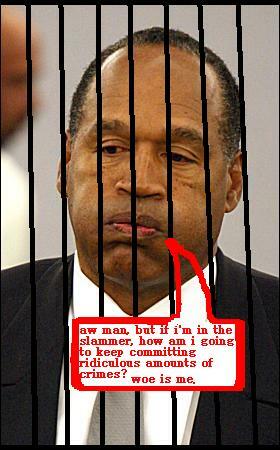 OJ – No Juice Behind Bars? 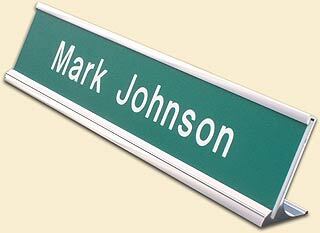 I do apologize for the turn to Serioustown last week. It’s a rare occurrence here at The Daily Elephant that I will engage in such serious talk, however, when I feel that the country is standing on the brink of a rather detrimental decision – I have to step in. But lets get back to what’s really important. You may slice and dice your wife in a fit of vicious rage, leave bloody evidence all over, and the judicial system will turn a blind eye. Because hey, jealously happens. You may also kill your wife’s lover during said vicious rage. Again, because why wouldn’t you? Time to get in touch with your artsy side! 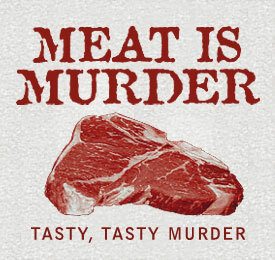 After the frenzy regarding these murders has finally passed, and the spotlight of interrogation is no longer over you, be sure to rub it in everyone’s face that you feel no remorse about what you’ve done. I suggest perhaps writing a book describing in gruesome detail how you would have “actually killed them.” That’ll fool em. When the attention dies down from the book release – which might just infuriate people as opposed to prove your innocence- it will be time to commit another crime! Commit several scattered crimes of armed robbery, theft, and aggravated battery – just to change it up a bit- altering styles, locations, and alibis. There’s nothing worse than being a predictable criminal. After getting away with all of this, I suggest spending the majority of your golden years in this same manner, because hey, you only live once. Please note: It is very important during all of this, that you don’t get discouraged!!! Just because you really want to go to prison and things aren’t quite working out the way you planned, it doesn’t mean that your dreams won’t come true someday.